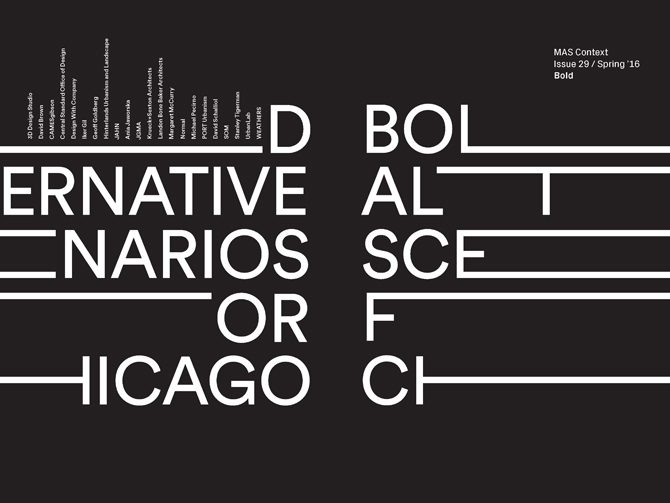 MAS Context’s latest issue BOLD catalogs the projects that were part of 2015 Chicago Architecture Biennial’s exhibition BOLD: Alternative Scenarios for Chicago, curated by Iker Gil. The projects respond to David Brown’s “The Available City” and offer alternative propositions that address vacancy in the city and its potential to create new architectural scenarios. 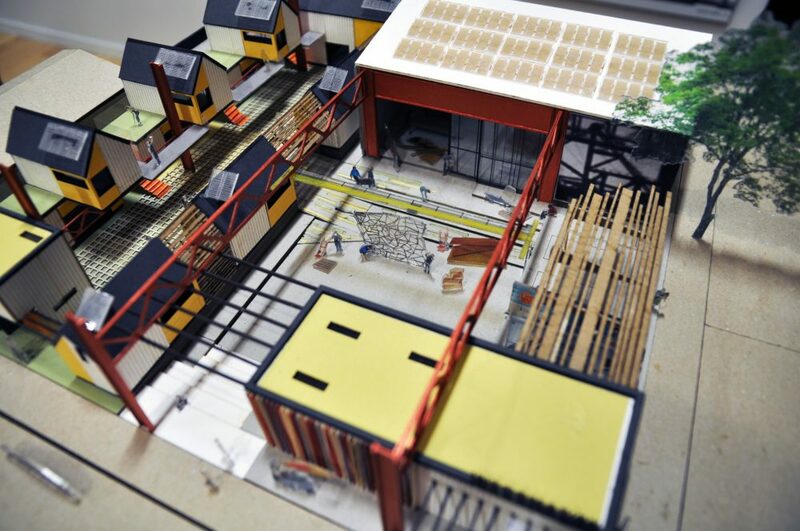 Among the work, LBBA’s speculative proposal South Chicago Collaborative develops affordable housing, job training facilities, and a maker space on five adjacent vacant lots in South Chicago. In collaboration with Claretian Associates, the goal is to create opportunities for young people and spur revitalization through a resilient, sustainable development model. 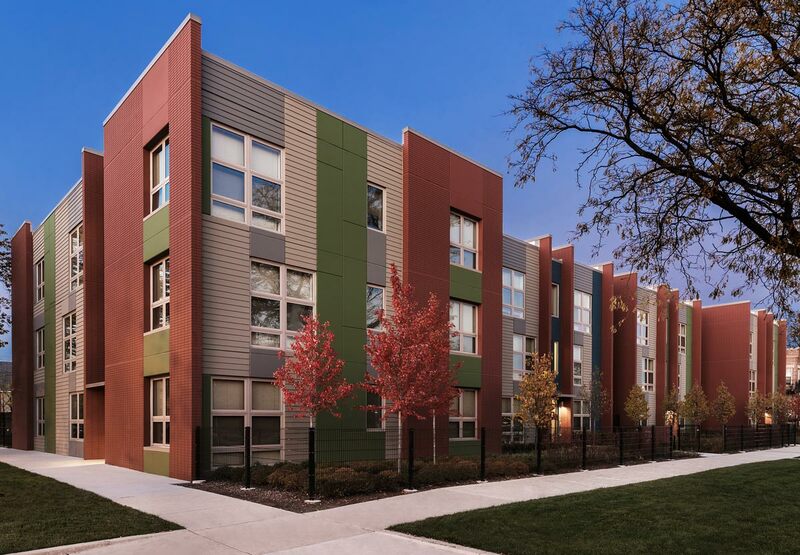 Claretian Associates, a South Chicago nonprofit, has become a fixture in the neighborhood’s revitalization effort and utilizes key partnerships to create a comprehensive method of community development. Their initiatives include improvements in employment, safety, healthcare, housing, arts and culture, and environmental awareness. In 2015, LBBA’s summer internship program, cityLab, partnered with Claretian Associates to study the neighborhood– past, present, and future–and assist in design and planning needs. 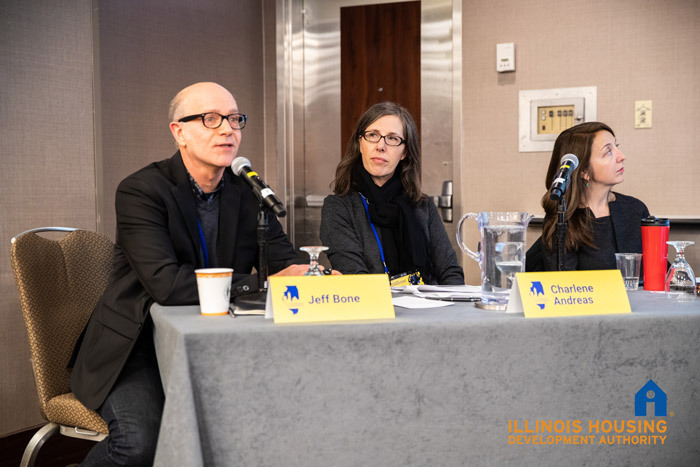 The work highlighted the strength of local organizations and institutions and the opportunity to support local programming through the activation of vacant lots. Just as the U.S. Steel South Works plant provided a variety of jobs and products, this new aggregation of amenities in South Chicago can house a new generation of makers and creators.